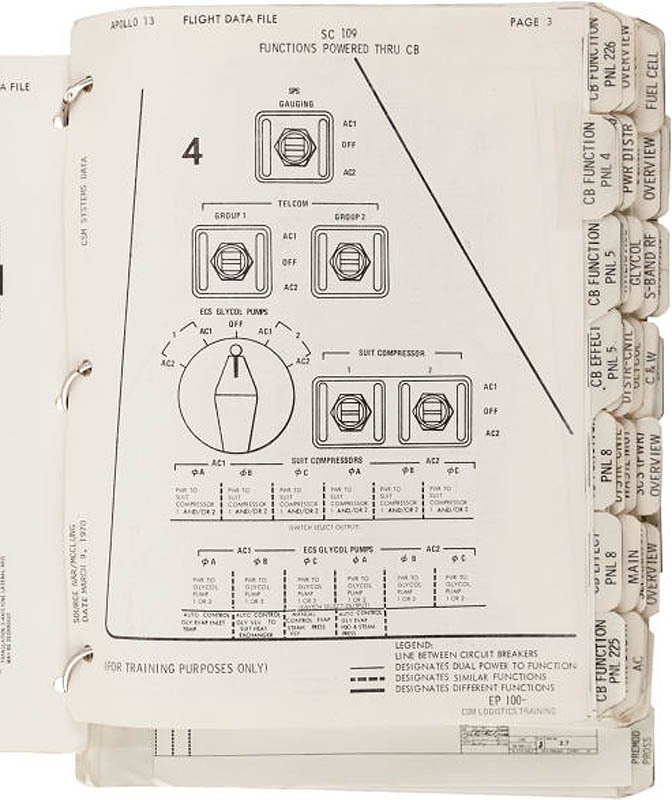 This page with tab labelled as "CB Function Pnl 4" and "CB Effect Pnl 4" on the rear side, is taken from the Apollo 13 CSM Systems Data Checklist, Part no. SKB32100082-340, Serial no. 1001 which was flown to Moon aboard the Apollo 13 Mission in April 1970. 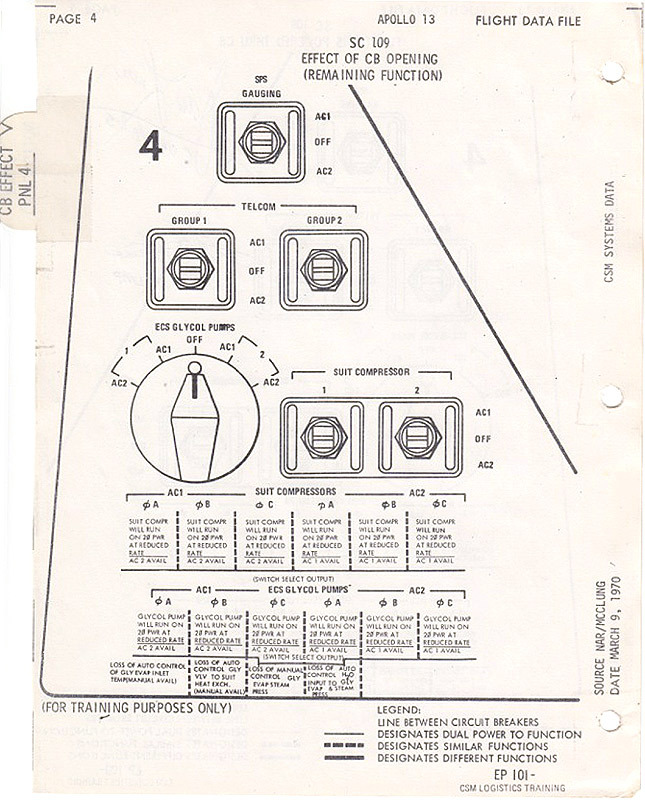 The side labelled "CB Function Pnl 4" shows Functions Powered Thru Circuit Breakers on Panel 4 of the Command Module Cockpit, and the rear side labelled as "CB Effect Pnl 4" shows the Effect for Circuit Breaker Opening, also for Panel 4. 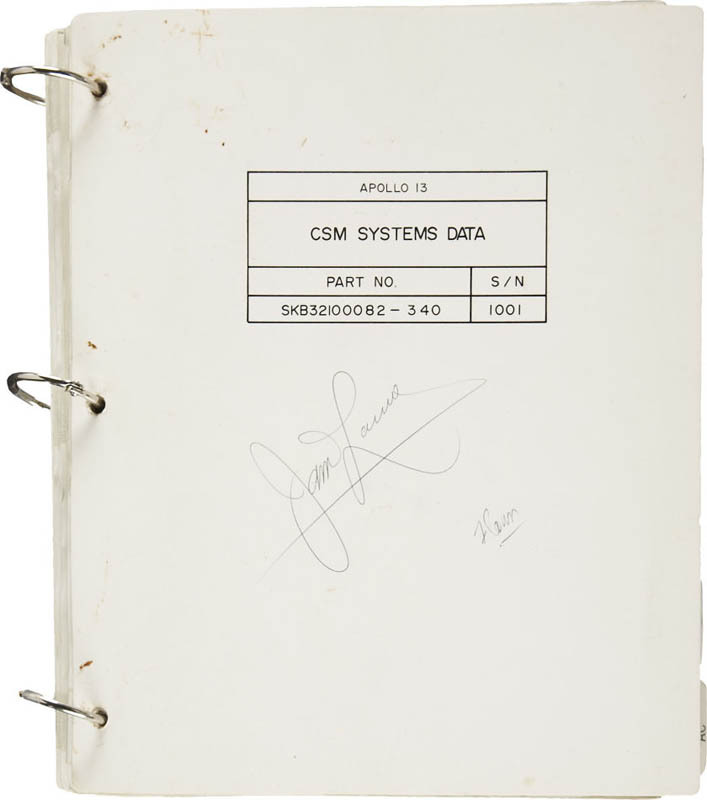 A photo of the entire Apollo 13 CSM Systems Data Checklist from which this page is taken. 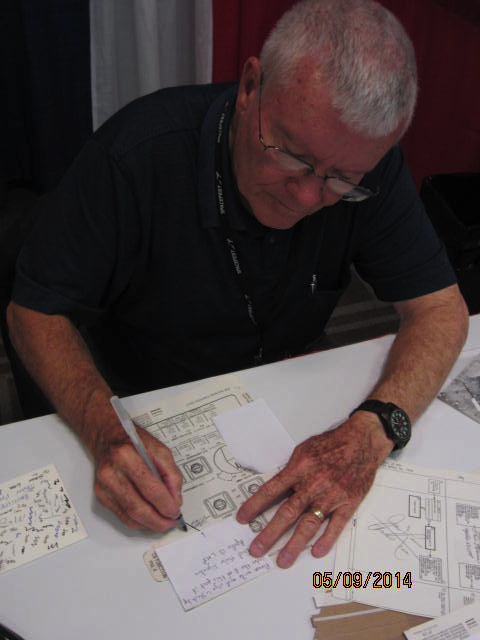 Jim Lovell has written 'Flown' below his signature. 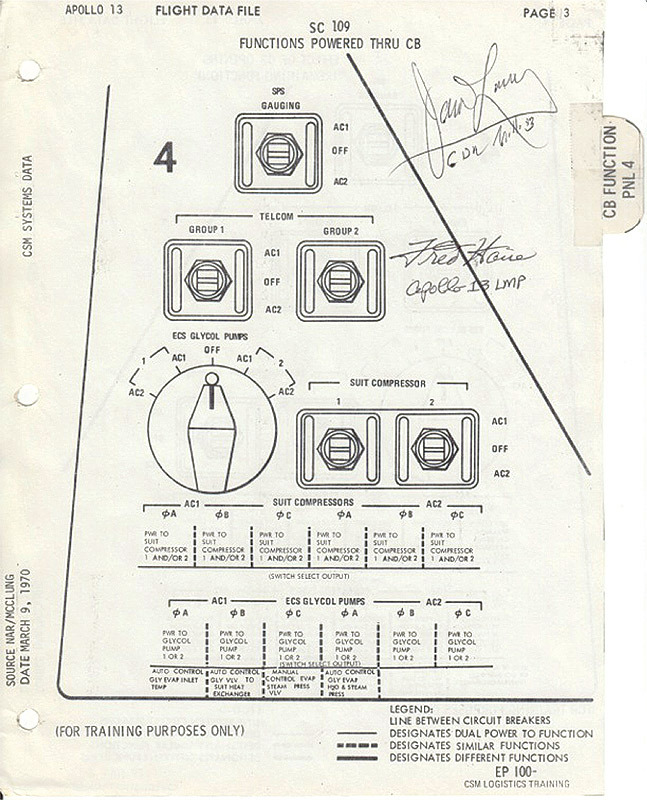 This photo of the entire checklist shows the page "CB Function Pnl 4" in situ, before it was removed and signed by Lovell and Haise.